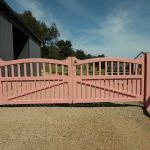 We pride ourselves on the workmanship that goes into every timber gate produced at Matthews Industries. 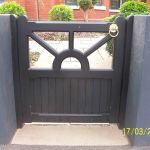 All joints on our timber gates are deep mortice-and-tenon style joins and are fixed together with a two-part marine quality epoxy resin and then dowelled, ensuring strength and quality that will last. 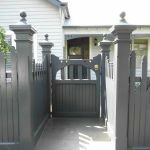 Gates can also be fitted with automatic openers. 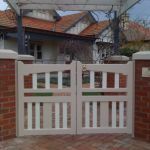 The frames of our timber gates are manufactured from the market leaders in structural pine, Design Pine. 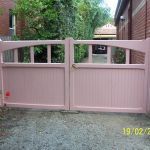 This product ensures both stability, durability and the weight of our solid timber gates. 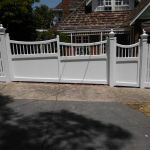 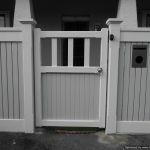 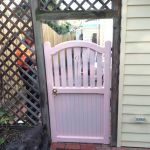 If clients prefer hard wood frames we can offer these materials, however, in our experience we’ve come to the conclusion that such materials make a wooden gate excessively heavy and over time tend to pull the supporting post in. 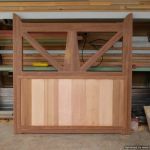 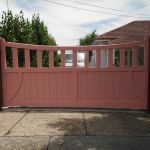 Panels and/or slats used on our timber gates are produced from either Design Pine, Cedar, Malas, Treated Pine, Merbau or Jarrah. 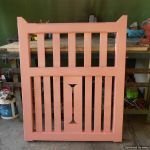 Before fixing the frame together it’s rebated and the panels are then fitted neatly into the frame. 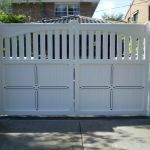 This process allows for expansion and shrinkage while giving a quality finish and look. 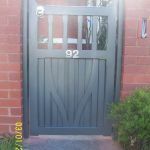 We offer a range of latches in brass, chrome and black to suit existing hardware on your home. 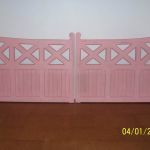 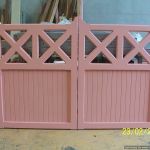 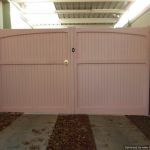 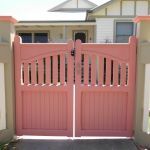 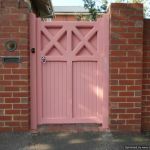 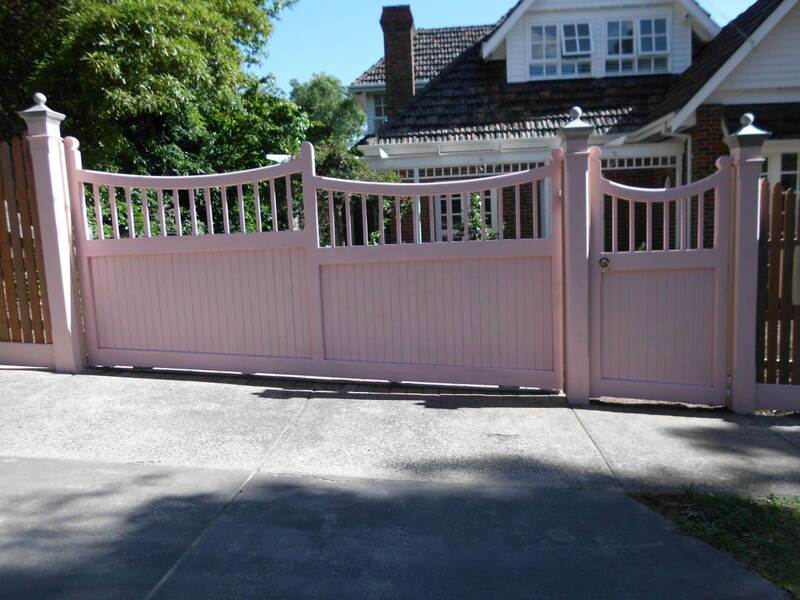 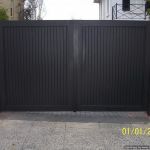 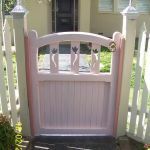 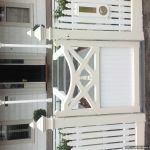 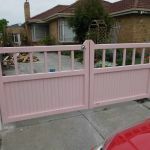 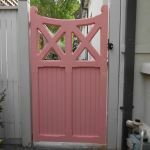 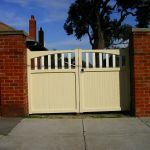 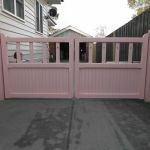 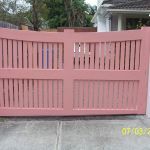 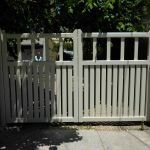 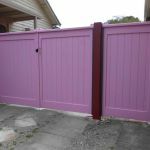 The photo presentation is simply a starting point or guide only for the selection of your wooden or timber gate. 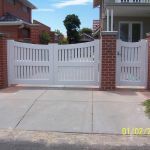 Don’t hesitate to contact us for an obligation free measure and quote, when we can discuss the specific style and period of your home.